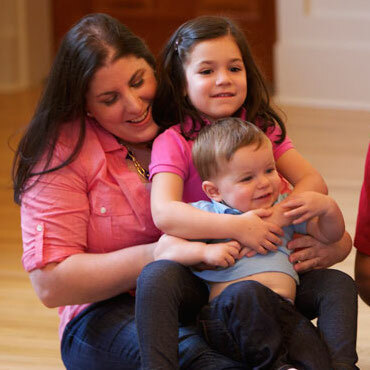 This is the essential Music Together®® class, one that a child can attend from birth through age four - and through all nine song collections. Child development researchers recommend mixed-age groupings because they foster natural, family-style learning. Younger children enjoy watching and imitating older ones; older children learn by leading younger ones; and adults are happy because the children in the family can go to class together. Each child participates at his or her own level in singing, moving, chanting, listening, watching, and exploring musical instruments. 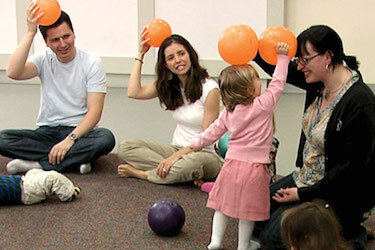 The class provides a variety of adult-child activities that are fun and offer new ways to play musically at home. Parents, grandparents, or nanny, individually or together, may accompany the children. The whole family is welcome for this important family music experience.